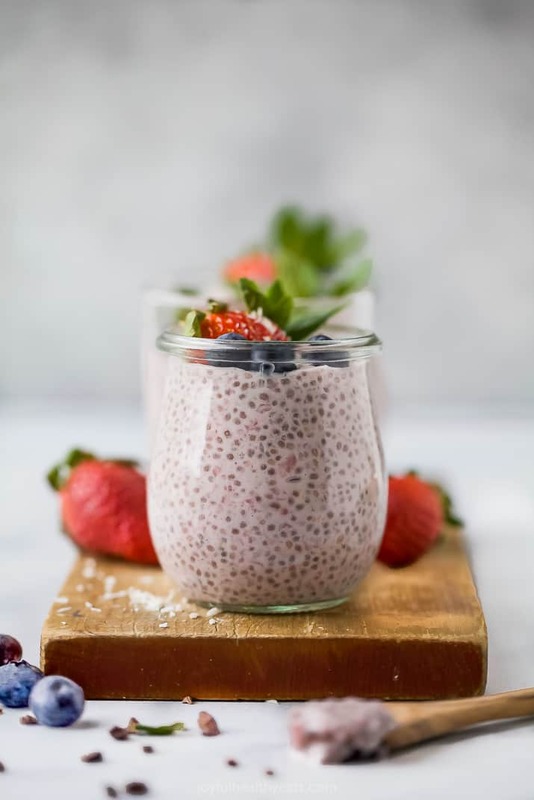 Creamy Strawberry Chia Pudding recipe is made with only 5 ingredients, a great light breakfast or healthy dessert! 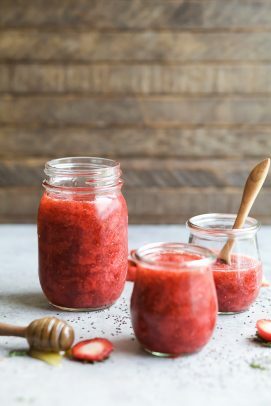 Paleo & Gluten Free Strawberry Chia Pudding made with only 5 ingredients. 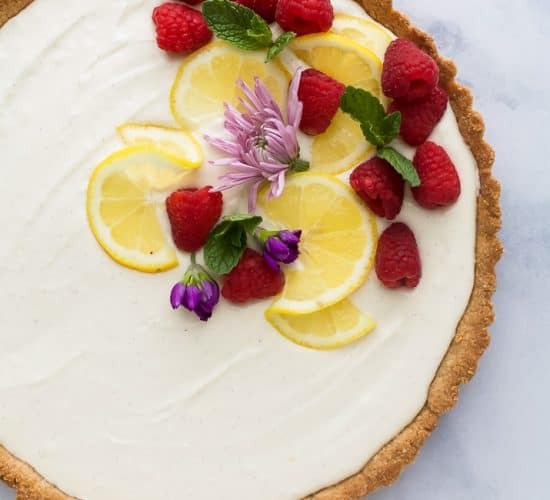 Filled with fresh strawberries, naturally sweetened with coconut milk and honey. 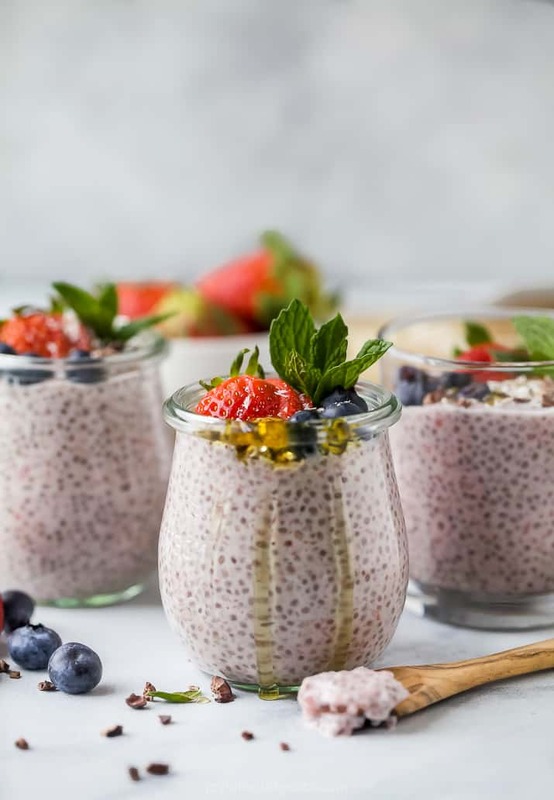 This Chia Pudding recipe is great for a light breakfast option or healthy dessert! We are officially in the season of all things red and pink and this week is all about Valentines Day. 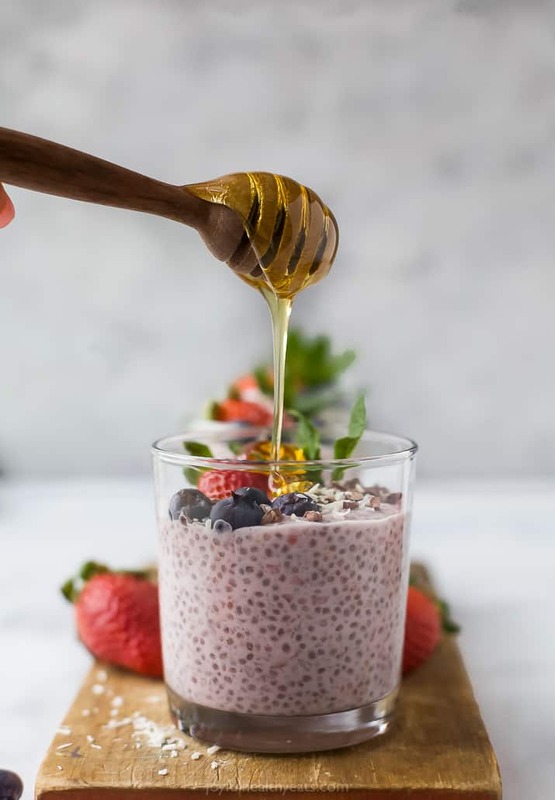 What I love about Chia Seed Pudding is just by using just a few simple natural ingredients you can make a delicious pudding. 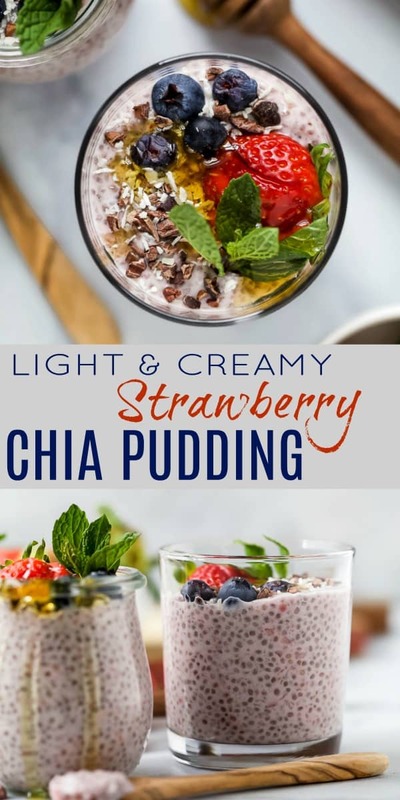 Chia Seeds, when put in liquid, puff up and turn the liquid mixture into a gel-like texture therefore creating pudding. It’s so cool! And you get all the benefits of chia seeds! A good source of Omega-3s which helps raise HDL levels, the “good” cholesterol. 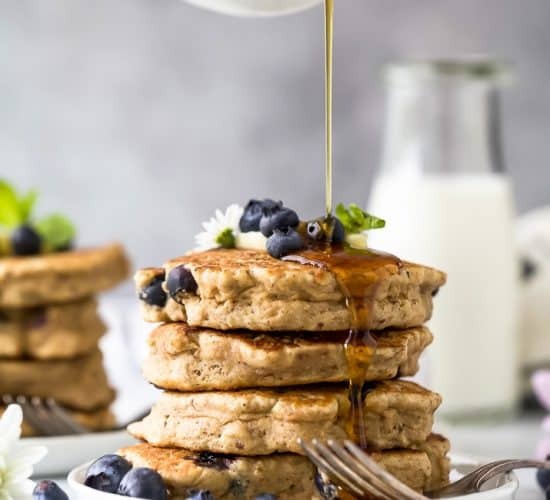 High in fiber, which helps fill you up! High in antioxidants and iron – great for overall health. 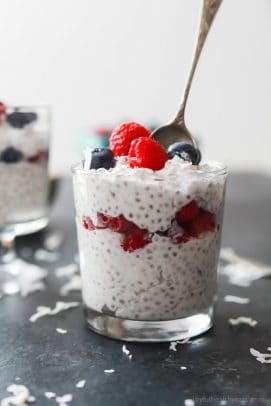 How to make chia pudding? To a small bowl add coconut milk, cows milk or almond milk. 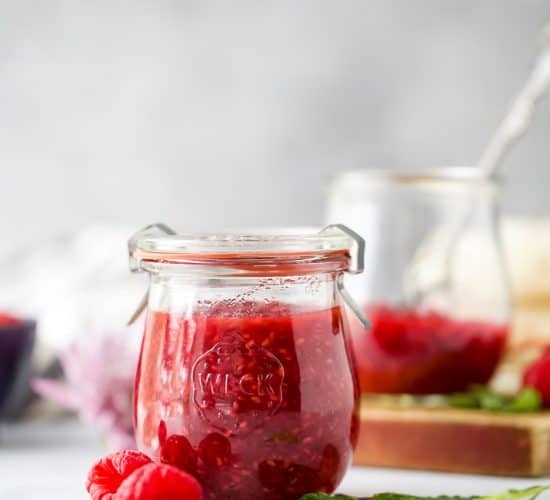 Flavor with vanilla bean paste or vanilla extract and honey. Mix together. Add chia seeds and whisk to incorporate everything. Cover with plastic wrap and place in the refrigerator for 4 hours. 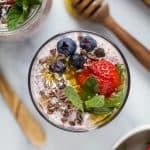 Why is my chia seed pudding runny? Sometimes when your chia seed pudding doesn’t thicken up it has to do with the amount of liquid you use. 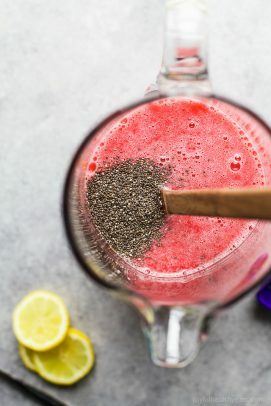 Chia Seeds love liquid, they soak it right up. If your chia pudding didn’t set just add 2 tablespoons of chia seeds, whisk together and let sit for another 1 hour. It should thicken. The short answer is, yes. But it all depends on what you add to it. 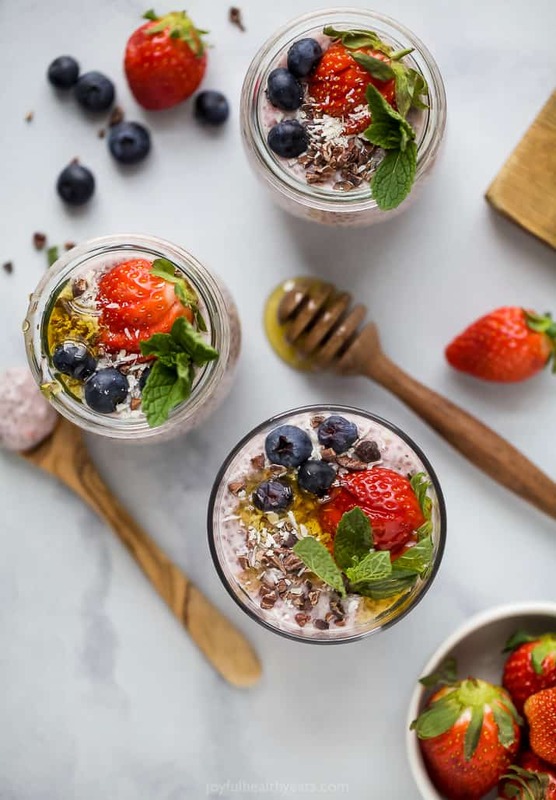 When it comes to chia pudding you have to watch out for the sugar count. Fruit in general has a high sugar content as well as high carbohydrate content. Which is fine because they are natural, but you really want to balance that out with protein. So adding nuts, nut butter or even protein powder will add to the protein count making it more of a balanced meal. 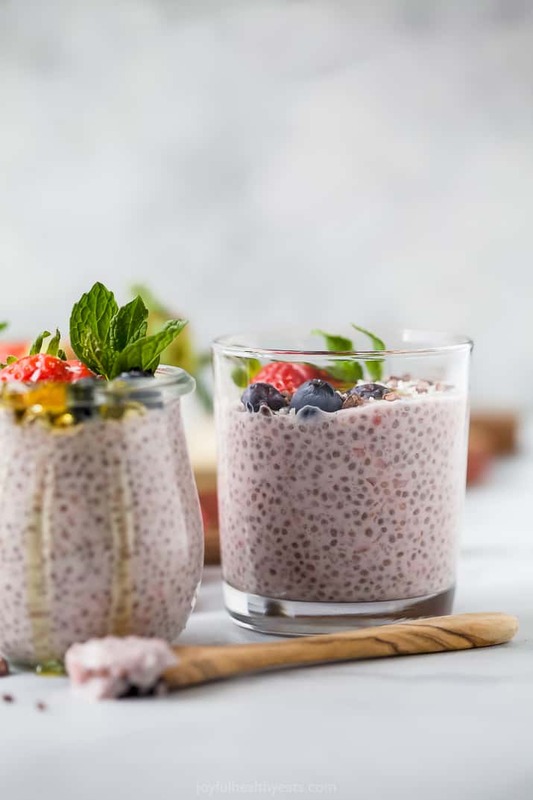 If store in an air tight container in the refrigerator, chia pudding should last up to 5 days. After that it might get a little too watery. But honestly it won’t last that long in the refrigerator because you’ll devour it! 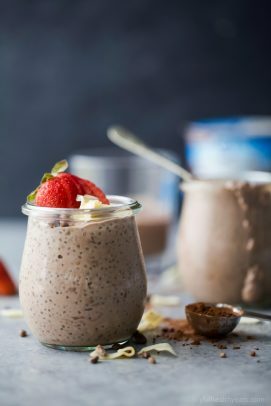 This Strawberry Chia Pudding is a great mid day snack or guilt free late night treat after the kids go down. Why after the kids go down? Because if your kids are like mine they are mooches and will eat your food! This is a dish you don’t want to share. Trust me! 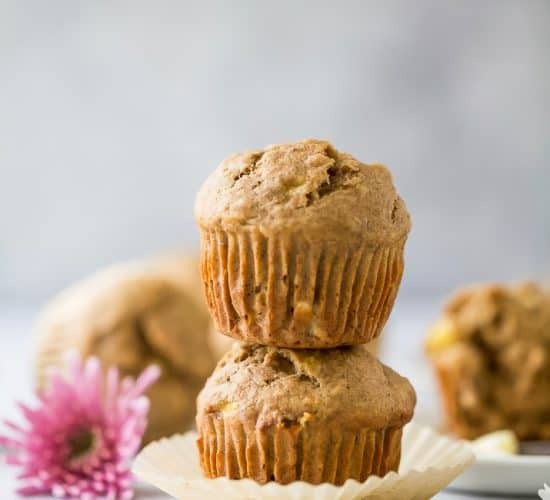 It’s perfect for a grab and go breakfast with some fresh fruit and homemade granola or top it with some cacao nibs in the evening! But most importantly it’s perfect for valentines day, because duh it’s pink! 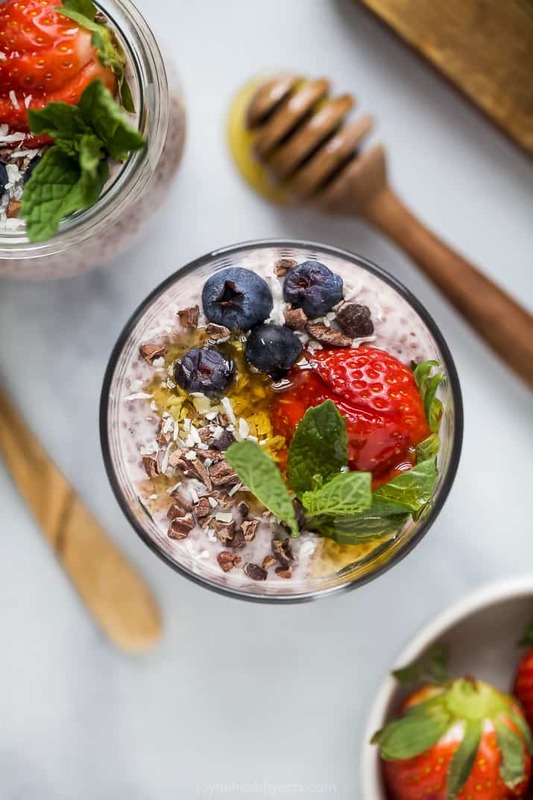 Want More Chia Seed Recipes?